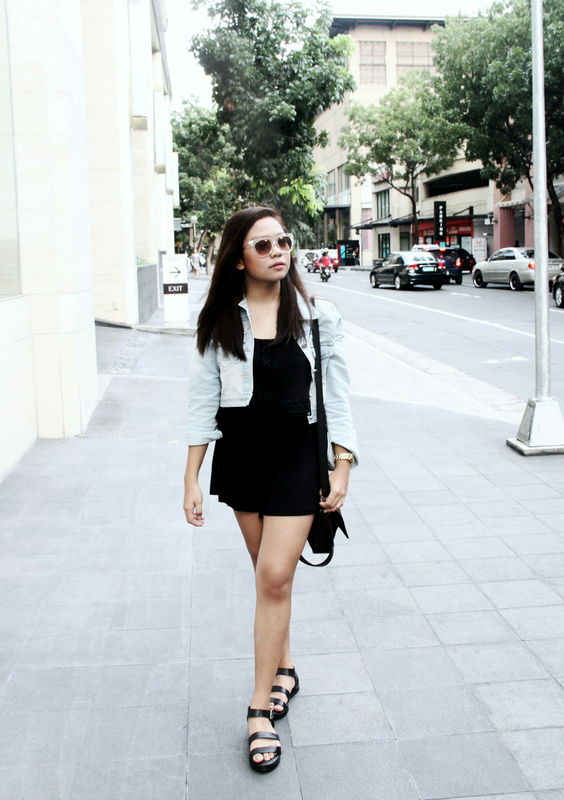 Black Petite Jersey Overlay Playsuit from Topshop/ HM Denim jacket / @huemanila sandals / Dovie from Sunnies Been quite captivated with playsuits lately while defaulting back to my favorite combination which is the black and denim. 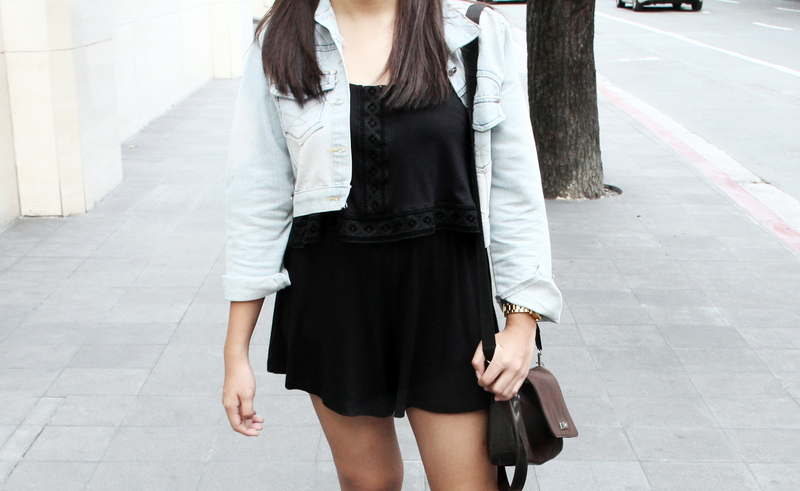 Loving everything in this , an easy staple you can dress up or keep pared back. Back to my own comfort which is more of subtle and muted mixtures at times when I don’t feel like being too much of an array (overdress) as I was out and about city scouting. These are the color layers I kept on going back to when I am in doubt. Play suits also kept it meek and ethereal the fact it brings comfort merely, can be a perfect substitute to dresses. Any thoughts about playsuits? Wanna hear them out!